Maritime activity over the next decade will be dominated by unmanned surface and underwater vessels, according to a new report on the future of autonomous maritime systems. Written and researched by the University of Southampton, Lloyd’s Register and QinetiQ, the report is a follow-up to Global Marine Technology Trends 2030 (GMTT2030) looking at how technology trends will impact upon the regulatory and social aspects of maritime operations. the start of a new industrial revolution (Industry 4.0) that has the potential to disrupt traditional businesses, markets and economies. 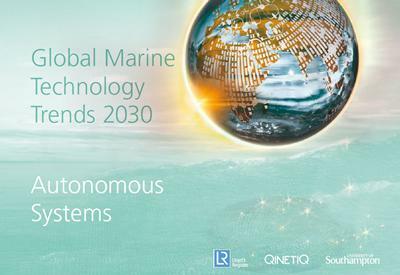 Click here to download a copy of Global Marine Technology Trends 2030 Autonomous Systems report.